The kitchen is where the magic in the home happens—yes, food is magical! After you prepare and eat the food, you need to clean-up. Luckily, we have sinks where we can wash off the utensils and dishes so that you could put them away and use them for the next meal. However, like most things, sinks aren’t invincible and misuse of them can lead to clogs; what’s grosser than a sink filled to the brink with dirty, greasy water with food particles floating on top? Not too much. In order to keep your sink clean, you need to protect your drains. While it might seem like you could empty just about anything into them, you can’t. Here are some tips to protect them! Don’t leave things in the sink for more than a day at a time, especially if they’re dirty dishes. The food remnants from the previous meal will harden and become much more of a hazard to your sink if you wait to clean them off. Take oatmeal for example: if you’ve ever left an unfinished bowl of oatmeal out in the open for too long, it begins to harden and becomes much stickier. If this ends up in your sink, you could very well run into, well, a sticky situation. Avoid this by emptying excess food into the trash and cleaning off the dishes immediately. 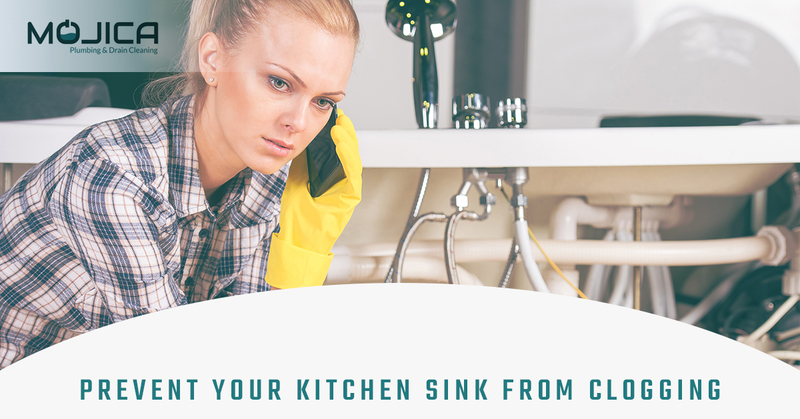 Not only is a sink full of dishes just plain ick, but it’s also a danger for your drains. One of the biggest kitchen no-nos is pouring excess oil and grease down the drain. Oil is terrible for the septic system and could mean big problems down the road if you’re not careful. It’s one of the biggest instigators of clogged drains and clogged pipes. See, when your drains are clogged, the result is water not having a way to be emptied from the sink which ends up with you having a sink filled with water and food particles. 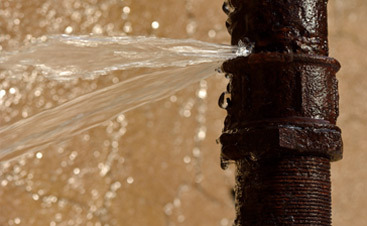 Clogged pipes, on the other hand, are much harder to fix and clean than drains. Additionally, oil and grease can lead to sewers overflowing, which isn’t a pretty sight. So, next time you feel inclined to pour your excess bacon grease into your sink, think about how disgusting a backed up sewer would be. Gross. 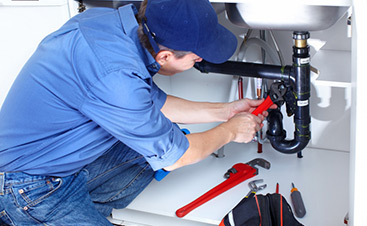 Garbage disposals are extremely helpful for people who clean their dishes in the sink. They work wonders to prevent drain clogs because they grind up food into very fine particles before being washed into the drains. This lessens the risks of clogs because it prevents large and sticky pieces of food from becoming stuck in the drain and blocking the flow of water. If you don’t have a garbage disposal, you should add a catcher to the mouth of the drain. The catcher has small holes in it that allow water and liquids to empty into the drain but not large food particles. The catcher is an easy, noninvasive way to prevent your drain from clogging. You don’t need a plumber to install one either and you could find them at most supply stores. So, if you don’t plan on installing a garbage disposal anytime soon, you should put in one of these. They’re surprisingly effective at preventing clogs. However, they don’t usually prevent grease and fat from entering the drain, so be careful! We’ve said it before and we’ll say it again, but Bio-Clean is a magical substance that safely prevents drains from becoming clogged. The substance, which is applied to the drains, contains a naturally occurring enzyme and bacteria which safely breaks down food when it sticks to the edges of the drains. 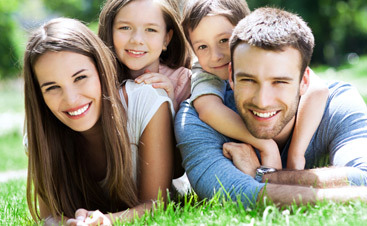 Bio-Clean is safe, effective, and easy to apply. We recommend it to all of our clients, too! This product is excellent for preventing clogs. When it comes to keeping your drains clean, you don’t have to work especially hard. Just avoid a dirty sink, don’t pour oil or grease down it, and add something that will prevent large food particles from going in. Mojica Plumbing & Drain Cleaning is happy to help with both prevention and cleaning, so give us a call today!